After Disney’s renaissance 25 years ago, the animation titan lost its magic touch and spent the latter half of the ‘90s trying to get it back. Their movies remained very good, but just seemed a bit less in the wake of masterworks like Beauty and the Beast and The Lion King. If that golden period consisted of the lustrum between 1989 and 1994, their more recent renaissance was the hat trick of Tangled, Wreck-It Ralph, and Frozen. 2014’s Big Hero 6 was an enjoyable romp in the moment, but lacked the imaginative spark of its immediate predecessors. It’s still too early to tell whether Zootopia marks the best of a run of “less-thans” or the beginning of a new return to form. The world of Zootopia is one of the most fully realized and finely detailed lands since Avatar, envisioning a world without humans where animals have all evolved to get along and respect each other. Of course, beneath the seemingly all-inclusive veneer of the utopian capitol lie prejudices each character struggles to keep in check. After pestering her chief and embarrassing him in front of the deputy mayor, the chief calls Judy’s bluff and tasks her with finding one of the missing animals in two days — after which, he’ll have his excuse to fire her. Of course, this being a Disney movie, Judy can’t do it alone. Thankfully, she bumps into a sly, resourceful fox named Nick Wilde (Jason Bateman), who Judy blackmails into helping her — if they can put aside their prejudices about rabbits and foxes for 48 hours. While there was a time not so long ago when Disney’s homespun offerings were considered the poor man’s Pixar, but that ended in 2010. 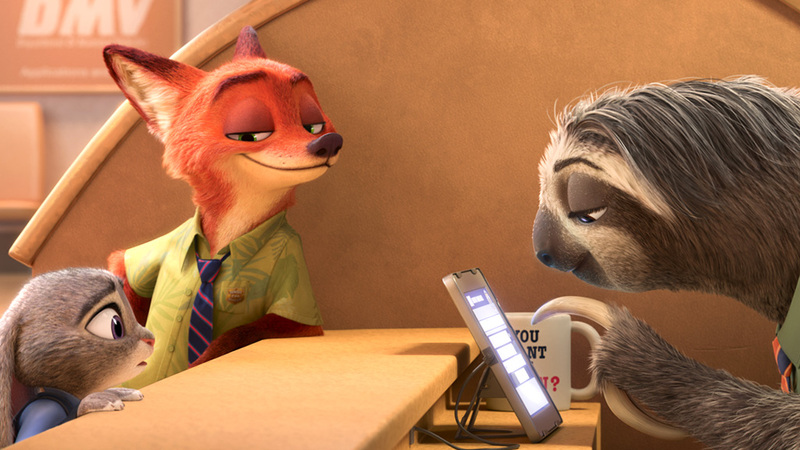 Every style the studio has perfected over the last six years of their offerings is combined here in vividly realizing Zootopia’s snowy mountains, baking deserts, humid rainforests, tranquil farmlands, and bustling metropoles. It’s as gorgeous to watch in a grand sense as it is to squint and look closely at all the fine detail in any shot. Even more wonderfully created than the world itself is Nick Wilde, probably the greatest animated creation of Disney’s since 2002. It’s a perfect evolution of the artistic design of the vulpine lead of 1973’s Robin Hood, but tailored to physicalize the wonderfully sarcastic and charmingly condescending tones that are Jason Bateman’s forte. It’s tricky whether it can be called Bateman’s greatest performance, but it’s certainly the greatest role he’s been given the chance to play — a perfect balance of character and actor, with each enhancing the other. 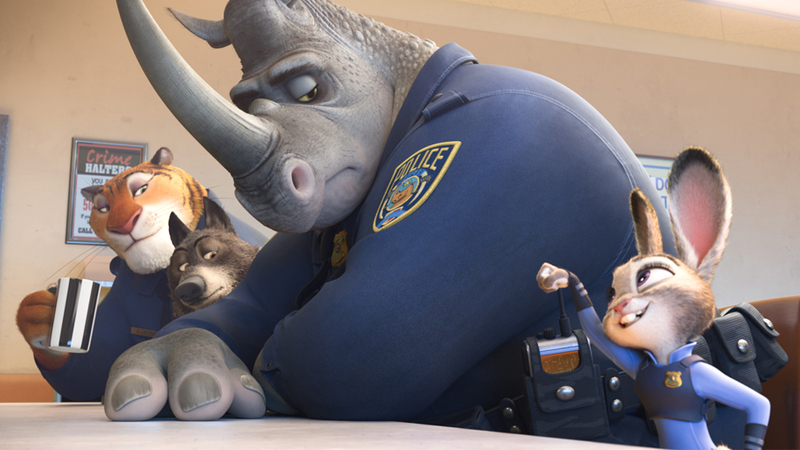 While Zootopia should get full marks for all that it tries, its biggest fault is also, truly, all that it tries. In addition to the traditional journey of two dissimilar characters who learn to appreciate each other, the movie also takes turns being a carefree buddy comedy, a high-minded satire of bureaucracy, and a critical spotlight on the contagiousness of casual bigotry. 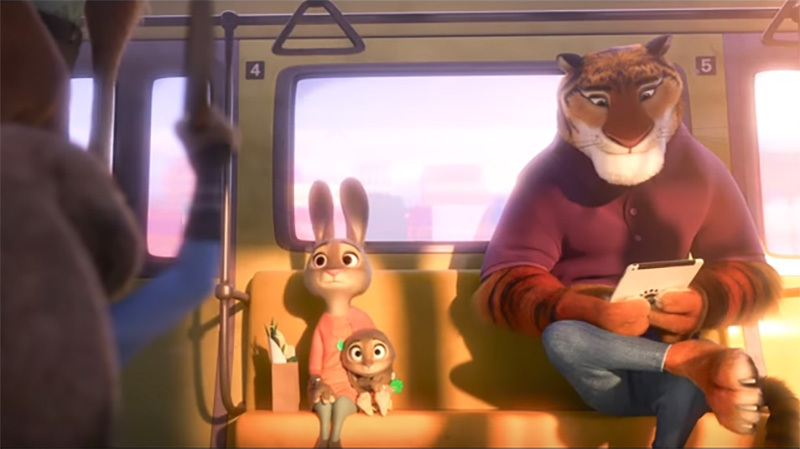 Every message it tackles is a valuable one and every method it uses is effective, but by trying to say so many different things, Zootopia dilutes the impact of each point it tries to make. 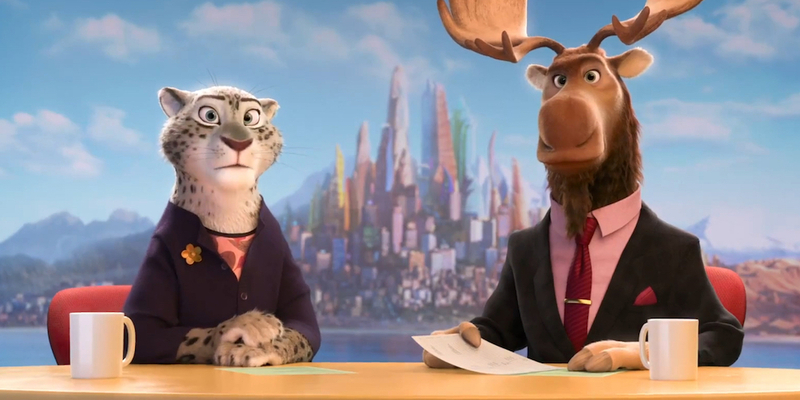 Faults due to noble misjudgment aside, Zootopia is a wonderfully enjoyable family comedy. It tells a great story with biting wit and delightful characters, in a world unlike most you’ve seen before. It may not be quite as brilliant as those of their most recent golden age, but hey, Hercules and Mulan were still better than most of the other animated movies of their time.